Dear Pet lovers are you looking for a show quality, imported and champion bloodline French Mastif (Dogue De Bordeaux). Look no further, here’s clawsnpawskennel offers you excellent quality puppies from UK, Canada and Australian lineage puppy at an affordable price. Heavy muscle, very ferotius dog. 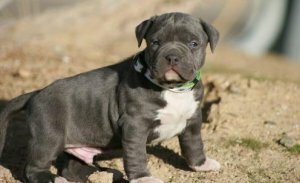 Pit Bull Terriers are lively, brave, tough, and likable. American Pit Bull Terriers exude strength and agility. They are stubborn and fearless, but very gentle and kind with family .They make great home protectors. Both male and female puppies are available. Puppy is of around 8 week’s. Primary vaccination and 21days deworming has been completed and these are available with life time breed guarantee. We provide guidelines for better grooming of the puppy. Our prompt delivery service delivers your life time companion at your service within 24-48 hrs. We deliver all over India without any transportation charges. For Images and detail about puppy please call us on 09830064171 or email us at clawsnpawsplanet@gmail.com, clawsnpawskennel@gmail.com. Visit our website www.clawsnpawskennel.com.